The DNA Relatives feature is an interactive 23andMe feature, allowing you to find and connect with your genetic relatives and learn more about your family story. 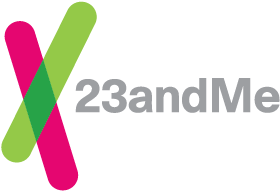 Genetic relatives (also known as DNA Relatives matches) are identified by comparing your DNA with the DNA of other 23andMe customers who are participating in the DNA Relatives feature. When two people are found to have an identical DNA segment, they very likely share a recent common ancestor. The DNA Relatives feature uses the length and number of these identical segments to predict the relationship between genetic relatives. The Shared DNA column in the Relatives in Common table will display whether all three individuals — you, your DNA Relatives match, and your Relative in Common — have any locations where DNA is shared. In order to see whether or not you share DNA in the same region of your genome, your DNA Relatives match and the relative in common both need to be showing Ancestry results and/or have an established sharing connection with you.